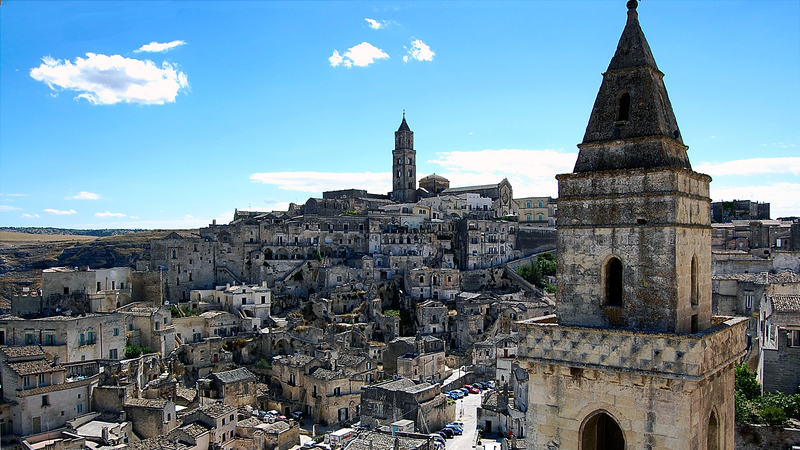 ﻿ Matera: Guided tour to Sassi and Old Town. Matera: the Sassi and the Old Town. 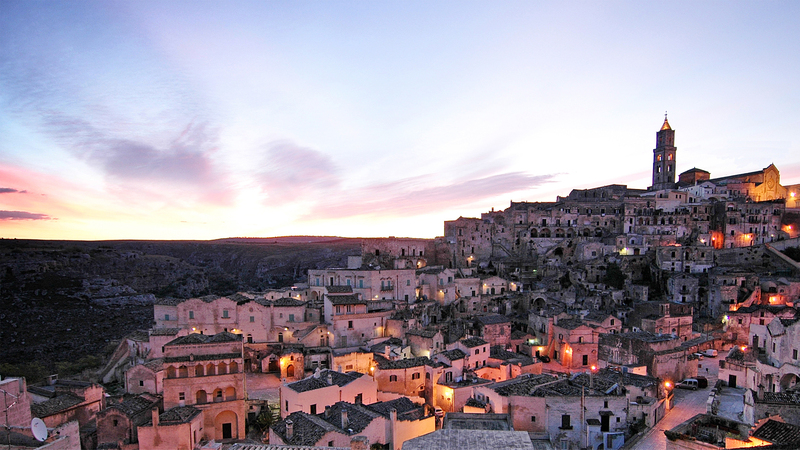 This is the basic half day guided tour to Sassi and Matera’s Old Town. Piazza Vittorio Veneto, piazza Duomo, Madonna of the Virtues, St. George Caves, St. Maria de Idris, Malve’s neighbourhood, are just some of the places you could visit on this guided tour. There are dozens of ways to reach them, through the anarchical, beautiful plot of the Sassi or the comfortable, wide “modern” streets. We know all of them, but we’ll choose toghether, according to your needs and desires, although we recommend charming, uncommon paths, avoiding the usual busy tourist routes. We like to take it easy: we’ll have a quiet, relaxing walk, taking up to 1,5 hours more than usual guided tours in Matera. We recommend the visit of at least one Rupestrian Church and one not religious cave site, to get the best understanding of the complicated development of the Sassi over the centuries and how deep they actually go underground, thanks to the mastery reached by our anchestors in negative architecture. If you need some basic information about the Sassi, check this link out. Do you want to focus your tour on something in particular? We’ll be very happy to custom your experience as much as you want! Take a look at our proposals or send us yours! Do you want a preview of some of the places we’re going to visit on this route? Take a look at this videos made by SkyVideo and VisitMatera!